Youssou N’dour brings it home in the No. 1 spot. This Senegalese singer is widely considered the most famous singer alive in Senegal and much of Africa. His style of music is known as mbalax, a mix of Senegalese traditional music in the Serer language and various styles from around the world including Cuban rumba, hip hop, jazz, and soul. With millions around the world in his fan base, he is now the owner of the biggest media house in Senegal (complete with radio and TV stations) and was appointed tourism and culture minister in 2012. More importantly, before K’naan had “Waving Flag” in 2010, N’dour was responsible for the 1998 FIFA World Cupnational anthem, “La Cour des Grands,” along with Axelle Red. 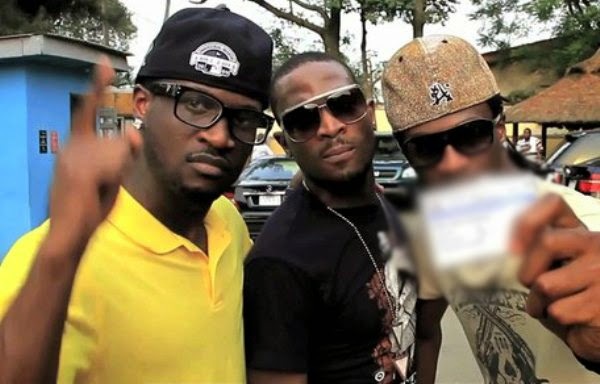 After forming the group in 2005, their music developed a devoted following, particularly in South Africa, and each album outsold the previous one. They were named Artists of the Year at the 2010 Kora Awards and now bring in more than $150,000 per show. Best of all, their shared home is worth more than $3 million and has been dubbed “Squareville.” Talk about product placement! Along with fellow Congolese star Fally Ipupa, Koffi Olomidé formed Quartier Latin as lead singer and vocalist before launching his solo career. Dubbing his style of music as tcha tcho, he considers it a blend of soukous music (dance music that originated from African rumba music). He’s notorious for taking on controversial subjects in his lyrics, which has led him to be widely praised and criticized worldwide. Fally Ipupa, a former member of Quartier Latin International (along with Koffi Olomidé, to be mentioned later), went solo in 2006 and has been incredibly successful, both in his home country of the Democratic Republic of the Congo as well as internationally. With MTV Africa Music and Kora awards under his belt, he’s racked up clothing endorsement deals in Paris as well as high commissions for his shows across the world, which are almost always sold-out. Nigerian singer-songwriter 2 Face Idibia began his career as a member of the hip hop group Plantashun Boyz, but went solo in 2004 after the group split. His most popular song, “African Queen,” took off after being featured in the movie “Phat Girlz” in 2006, but all of his five albums have been very well-received around the world. His wealth comes from various real estate investments across Nigeria, as well as the $80,000 he commands per show. Born Olubankole Wellington in the U.S., Banky W moved back to Nigeria and grew up in Lagos, where he began singing at an early age. Finding success early in singing competitions, most of his wealth has come from endorsement deals with companies such as Estisalat mobile and Samsung in Nigeria. He also started the Mr. Capable Foundation, an education charity that provides tuition scholarships for disadvantaged children. Jose (or Joe) Chameleone is a Ugandan artist who found his niche blending traditional Ugandan folk music, a bit of rumba and a heavy reggae influence. He sings in English, Swahili, and Luganda. His mansion outside of Kampala and four cars (including a Cadillac Escalade and a Benz) are evidence of his success, particularly with his hit, “Valu Valu.” He’s been credited with changing the face of music in Uganda, as well as making local music accessible to the rest of the world.